Abstract: The infamous Hurricane of 1938 walloped the entire northeastern U.S. with Long Island, New York, receiving the brunt of the storm. The damage to Long Island was extensive and not limited to public and private property including local churches as well. This paper surveys religious disaster relief strategies through three church reconstruction campaigns—the successful work of St. Andrew’s Dune Church and the Shinnecock Indian Church, and the unsuccessful efforts of the Old Whaler’s Church. The recovery of Suffolk’s churches would be realized through the application of thoroughly modern and traditional means of religious relief. And while the practice of local faith was at least partly responsible for the hurricane’s severe damage to several churches, it also proved a source of their resurrection. Finally, the failure to rebuild some churches was based on simple economics and the attempt to recapture an unrecoverable past. On September 10, 1938, a swirling air mass began to take shape off the west coast of Africa. Eleven days later it made a mad dash up the eastern seaboard of the United States striking Long Island and greater New England. The following morning, Long Islanders awoke to a scene of utter devastation. Legions of the homeless and injured groped through the wreckage of their once proud homes; reports of looting at Cherry Grove, Quogue, and Mastic Beach kept everyone on guard; and, miles of Long Island’s pristine beaches were redrawn by the storm. But the damage was not limited to public and private spaces, including churches as well. A rococo whaler’s steeple in Sag Harbor, a Native American house of worship on the Shinnecock Indian reservation, a seasonal shrine perched implausibly on the Southampton dunes, and scores of Presbyterian and Catholic spires were all vulnerable to the rain, wind and waves brought forth by the Hurricane of 1938. While it is true that most parishes emerged from the storm with nary a scratch, a few were completely destroyed. Others had stained glass windows broken and shingles blown off. Still more were littered with storm debris running from narthex to nave. As America endured the lingering effects of the Great Depression, the Hurricane of 1938 put additional strain on federal, state and local relief efforts. Federal resources contributed to the immediate needs of hard hit communities in areas of rescue, transportation, and manpower. New Deal programs served a valuable role augmenting state resources and gaps in local capabilities. Further down the ladder, New York State, Suffolk County, and local concerns were busy clearing roads, carting away debris and coordinating relief services. Aside from modest grants provided by the American Red Cross, individuals and private concerns were left the task of long term reconstruction. Religious relief schemes, in particular, followed an evolving script based on the spirituality, economics and identity of individual communities. Church recovery would be realized through the application of thoroughly modern and traditional means of outreach and relief. Paul Boyer notes that a prominent feature of American religious groups has been their “embrace of the latest in technology and management techniques.” He observes the organization, efficiency and advertising campaigns of revival crusades from the nineteenth century to the present. In the wake of the storm, religious relief schemes of Long Island churches were coordinated to maximize the capabilities of local communities. Church trustees would use the media to announce dedication ceremonies, fund raising drives, and outreach activities. Organizations such as the Episcopal Church of the Diocese of Long Island and the Suffolk County Council of Churches proved instrumental in religious relief operations and the rebuilding efforts of Suffolk’s churches. And, the Suffolk County Council of Churches commissioned a modern design and construction of the Shinnecock Indian Church after the storm. The architectural styles of churches reflected the shifting place of religion in the American landscape. With vast changes in modern life ways typified by the expansion of cities, mass transportation and communication, the church experienced an identity crisis. Church rebuilding plans reflected different religious responses to these changing social conditions. Some churches, in an effort to carve out an oasis of spirituality in the pell-mell modern world, would be rebuilt according to the Gothic Restoration style with a premium placed on architectural soundness, quality of materials, and the embrace of the natural world. Others recast their parishes into a “Seven-Day-A-Week Church” acting as a hub of social, recreational and cultural life. The church ceased to be merely “four walls and a steeple” catering only to liturgical concerns, transforming instead into a viable alternative to activities outside the church. The Social Gospel movement was also a powerful force in church reconstruction. The Social Gospel movement began in post bellum America and continued through World War I as a religious antidote to varying social, economic, and political conditions. Robert Handy, for instance, viewed the social gospel as a “response to the problems of an urbanized and industrialized society … shaped by [religious] patterns of thought and action.” Many of the religious organizations and councils that participated in post-storm relief effort were dedicated to these same principles. The Suffolk County Council of Churches, an interdenominational association of eastern Long Island churches, appointed a Disaster Relief Committee to oversee the design, funding and construction of the Shinnecock Church. The Long Island Council of Churches was dedicated to “unit[ing] diverse Christians to work together to improve the well being of Long Islanders and to promote interfaith understanding and cooperation.” This commitment to cooperation forged “communal involvement” throughout Long Island churches exerting a strong influence on relief activities. The curious practice of American faith would prove instrumental in the reconstruction process as well. 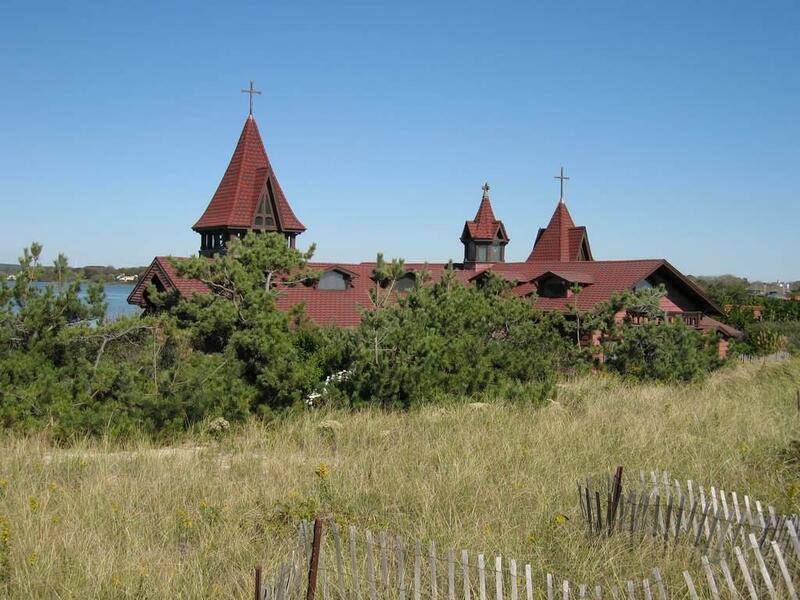 St. Andrew’s Dune Church, for example, is an interesting fusion of European and American religion forged in Long Island’s social and environmental milieu. English church influences, Gothic styles, and pieces of Old World cathedrals were transported and assembled to form a unique American church. Williston Walker commented that “religious life on this side of the Atlantic has … its sources beyond the sea, and its history reflects much of the discussions which have run their course on European soil; but it has nevertheless, its own flavor.” The location of Dune Church, its use as a former life saving station and its celebration of the natural world proved integral to the religious identity and reconstruction agenda of church members. The sea and shore exerted a powerful religious hold on church members whose spiritual identity was fashioned by the natural rhythms of the Atlantic. The rites and faith of Dune Church also found a spiritual connection within its natural setting and demonstrated a deep reverence for the natural realm. Each church reconstruction campaign reveals unique facets of various Long Island communities — some old, some new, some rich, some poor, some passed by, and some just arriving. St. Andrew’s Dune Church would be able to mobilize their wealthy congregation and successfully complete the restoration of their church. The Shinnecock Presbyterian Church would draw on their native customs to raise funds for the completion of a church, recreation center and outbuildings. But the Old Whaler’s Church in Sag Harbor would prove a victim of its own proud history with an inability to rebuild a church originally constructed in an unrecoverable past. Local interest and pride were as strong as that displayed by Southampton residents for the Dune Church, but the Old Whaler’s Church was built for and during Sag Harbor’s whaling heyday — a time that ceased to exist. This article traces three religious disaster relief efforts on Long Island, New York in the wake of the Hurricane of 1938 — the successful campaigns of St. Andrew’s Episcopal Dune Church and the Shinnecock Presbyterian Church, and the unsuccessful, and ongoing, efforts of the First Presbyterian Old Whaler’s Church of Sag Harbor. Modern organization, management, and fund raising efforts are explored. The effect of the Social Gospel and “Seven-Day-A-Week” movements will be discussed. Finally, the celebration of the natural world, Long Island history and individual styles of faith will be examined as elements critical to the restoration of — or failure to restore — parishes damaged by the storm. Figure 1: St. Andrew’s Dune Church after the storm. Courtesy of the Southampton Historical Society and Museum, Southampton, L.I., N.Y.
One would be forgiven for thinking that the sand blown about St. Andrew’s was solely the fault of the storm. It was not. Dune Church is literally a church set among the dunes. Part of this has to do with its original use as an aid station, which also exposed it to a high degree of risk from erosion, winter storms and, as was the case in 1938, hurricanes. The story of this church set amidst rolling hills of sand and its restoration is distinctive and rooted in elements integral to land, sea, faith and American society. It is at once a religious temple, shrine to man, celebration of the natural world and caution to its dangers; it is a case study in religious reconstruction utilizing innovative fund raising techniques and generous bequests; and, it is a story of an elite American community’s curious practice of faith and reverence for history yielding a successful rebuilding drive. The summer resort “colony” of Southampton was originally founded by Depeyre De Bost, a wealthy dry goods dealer from New York City. De Bost long admired the mild ocean air, gentle topography and excellent hunting grounds of the east end of Long Island ever since his childhood days spent with his grandfather, a minister from one of Southampton’s local Presbyterian Churches. In 1870, De Bost began construction of Southampton’s first “summer only” home. After De Bost commented to his wife’s gynecologist, Dr. Theodore Gaillard Thomas, about the unique attributes of his east end retreat, estates slowly began to pockmark the Southampton landscape. The economic wherewithal and recreational habits of Long Island’s new visitors were characteristic of the appetites of a privileged class whose vision was at once material, social and spiritual. A few elements of their planned community, however, were missing — namely, a church. What the burgeoning summer community needed was a proper Episcopalian church in whose destiny they could control and faith they could regulate. Through the unfailing stewardship of Dr. Thomas, plans were made to “purchase” a church from the U.S. government; and if this particular statement sounds strange, it is. In its first incarnation what came to be known as St. Andrew’s Dune Church was not a church at all but a life saving and aid station. The present day nave was built in 1851 by the United States government to aid seaman, distressed ships and those in need of relief in the waters of the Atlantic off of the Long Island coast. After the U.S. government no longer had any use for it, it was purchased by Dr. Thomas in the late 1870’s having fulfilled — in the words of the St. Andrew’s Trustees — its “Christian purpose.” Three years later it was incorporated in the State of New York as a free church non-aligned with the diocese and self-governed by a board of eleven trustees. The pulse of the church was measured by the beat of its members, and owing to its summer crowd, is only open from June to September. It relies solely on visiting clergymen to conduct services drawn usually from neighboring Episcopal congregations. Throughout the late nineteenth and early twentieth century’s, the member’s list of the congregation would grow to include some of the most prominent names in American society — Mellon, du Pont, Livingston, Lord, Twining, Mead, and Schieffelin to name a few. With such a wealthy and devoted following, donations, memorial projects, bequests and commemorations were frequently made transforming the exterior and interior appointments of the church from a simple aid station into an elaborate temple. A choir box and aisles were added in 1887-8, the altar and reredos were redone in 1893, a major renovation was commenced at the turn of the century, tubular bronze chimes were presented in 1921, and countless stained glass windows were installed up until 1938. St. Andrew’s took the brunt of the hurricane. Its protective dune on the south side of the church was pummeled by the rising storm surge letting the waters roll into and through the church. Sand built up around the perimeter, inside the walls, and upon the church. The ramparts of the south transept and west nave wall were carried away by breakers and gales. The choir house was wrecked. The organ floated out the door. Pews, timbers and concrete blocks from the innards of the church acted as floating battering rams smashing into the ornate memorial windows and doors. The next morning on September 22nd a crowd of locals and congregation members gathered outside the church finding the organ sitting in the middle of the road. Soon after the storm passed, the Trustees decided that the church would stay where it had stood for over a half century and would be rebuilt just as it was before the storm. The decision was based on several factors, and demonstrates the importance of the church to the community, the strength of its member’s spiritual duty and the outreach and dynamism of religious rehabilitation. First off, the question of cost can be easily discarded as the church had a wealthy and devoted following that would spare no expense to pursue a course of action they thought right and proper. They thrived, after all, without any affiliation or backing, relying solely on the largesse of their members for almost sixty years. The church exerted a curious pull on summer colonists, their children and grandchildren, and local residents alike. So when the time came to finance the rebuilding of St. Andrew’s, people were at the ready to contribute their time and money to the endeavor. Fund raising drives, memorial committees and donation schemes were formulated to rebuild individual parts of the church. A church organ benefit was organized by the “girls of the choir at the MacDowell Club” who performed a concert on December 28, 1938. They hoped to raise at least $500 for the organ fund which suffered sand and water damage from the storm. Due to the younger crowd’s devotion to the church, rehearsals were filled to capacity with elder choir members and colonists heartened by the reunion atmosphere. Members of the congregation also made individual donations and bequests to the church for memorial windows damaged by the storm. A window originally placed in the south wall of the baptistery in memory of Julia Bryant Howland was replaced in 1947 through a generous bequest of the late Miss Frances Howland. Another window placed on the east wall of the south transept in memory of the mother of Mrs. George R. Schieffelin, Matilda Delaplaine, was restored through donations from Miss Dorothy L. Schieffelin. Figure 2: St. Andrew’s Dune Church as it looks today nestled precariously on a lean stretch of dunes between Lake Agawam to the north and the Atlantic Ocean to the south. October 2006. Photo by the author. It literally seems to rise out of the dunes, framed to the front and back by water and the sides with scotch pines, grass, and sand. The outside of the church is of an extraordinarily robust construction that mimics, at least to this observer, a ship turned on end. Looking beyond the church to the rear is a grassy dune line, and beyond that the Atlantic Ocean. Proceeding up the modest front stairs, one turns around quickly to catch a glimpse of Lake Agawam before disappearing into the interior. Upon entering the church, one crosses a threshold of stately homes barred by privet hedges into a nautical interior bathed in light. Religious mottos, richly appointed woods and a no nonsense arcade are set in a standard cruciform pattern. As the service commences, one’s eye is drawn to the walls covered with biblical passages carefully chosen to reflect the link between faith and the ocean. The overall effect is a deeply personal yet shared experience fusing natural and spiritual worlds. Ralph Waldo Emerson noted in his essay “Nature” of the relationship between the world “out there” and the world “in here,” and the synergy between religion and the environment. What makes the experience all the more profound in the example of St. Andrew’s is the stark contrast between the strict gothic conventions of the external structure and the transcendental beauty of its natural setting. Figures 3, 4: A cannon from the Alexander La Valley sits threateningly in front of a whale blubber pot. On the opposite side of the walkway rests an anchor from the Lykens Valley. October 2006. Photos by the author. Inside the church, a tablet on the south transept records the wreck of the 22 gun British war ship, Sylph, taken on the night of January 16, 1815 on her way back to England after the War of 1812. Out of a company of 134 officers and sailors, only 6 survived. On the east wall, a brass tablet records the wrecks of the barge Lykens Valley and the tug Panther. Figures 5, 6: The window on the left adorns the west wall of the church opposite the altar depicting a view of water as seen through a flowered trellis. 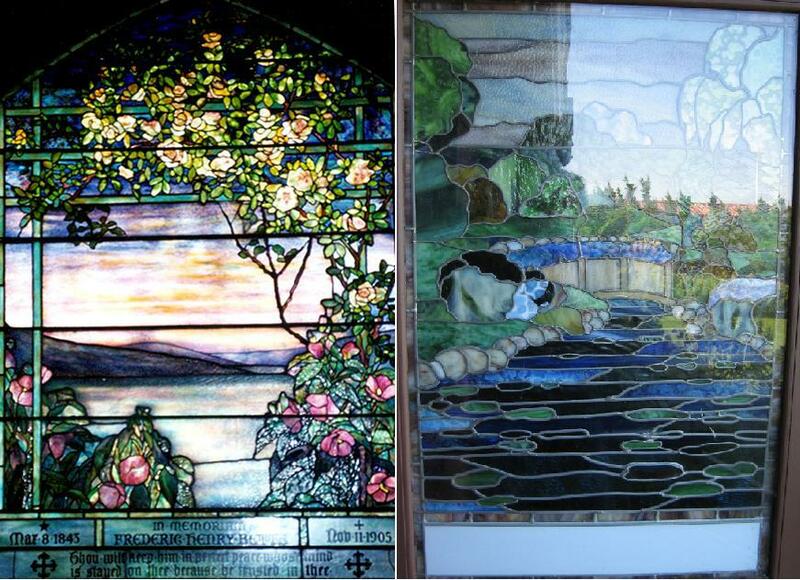 The piece on the right occupies a doorway on the east side of the church showing a brook and foot bridge festooned with greenery. July and October 2006. Photos by the author. The role of the church in Southampton’s history and its place as “a reminder of a generation now gone” was equally important to the reconstruction campaign. At the rededication service in the summer of 1939, two plaques were unveiled commemorating church restoration efforts and the new organ. These memorials would be placed alongside “historical tablets” observing the collective memory of the church and the Southampton community. On the south wall of the nave, the hurricane tablets would join the “World War I Tablet” listing Southampton residents killed in action in the Great War; the “Union Tablet” remembering local residents killed to preserve “the blessings of peace and the security of a United Country”; the “Revolutionary Tablet” honoring Southampton’s Revolutionary War dead; and, the “Founding Tablet” commemorating the actions of the “Undertakers” in the founding of Southampton Town. Afterwards, congregation members headed home to enjoy the summer season. With much of the reconstruction work complete, vacationers and locals alike had a busy social calendar to look forward to. Part of those activities included the dedication of the nearby Shinnecock Presbyterian Church. Located not far from St. Andrew’s, the Shinnecock Church was badly damaged by the hurricane too. 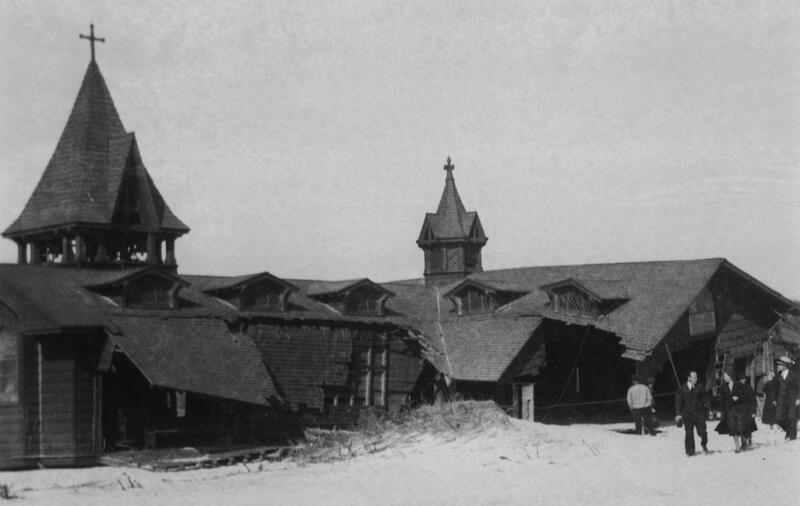 In fact, just as Dune Church was re-opening, Lester Raynor’s work crew was busily putting the finishing touches on the Shinnecock church and outbuildings. The church’s history, the place of religion in Shinnecock life, and relief efforts of the Southampton spiritual community demonstrate the vitality of the Social Gospel, the close relationship between white and native populations, and an organized program of religious disaster relief. The 1640 exchange of deeds between the Shinnecocks and white settlers created the oldest continuously occupied Native American Reservation system in America to this day. This system eventually led to the establishment of a unique method of aboriginal self government independently charting the course of Shinnecock life. At the center of that identity and self-government was a commitment to Christianity reflected in the Shinnecock Presbyterian church. This institution, however, did not materialize overnight; nor was it a sole reflection of Shinnecock culture. When the “Undertakers” constructed the First Presbyterian Church in Southampton Town in 1640, an “Overshephard” was appointed to care for the spiritual and worldly concerns of the Shinnecocks through the years. In 1646, Rev. John Eliot performed services in the Shinnecock community in their native language. Yet Christianizing efforts were uneven as Shinnecocks possessed a tenacious cultural identity, frequently reverting to native spiritual prescriptions. With a renewed sense of religious vigor, more sustained efforts at Christianization were undertaken. Peter John Cuffee, a Shinnecock convert, preached the gospel among Long Island’s native populations. Cuffee’s superior oratory and management skills helped to recast the religious attitudes of the Shinnecocks. But it would ultimately fall on his grandson, Rev. Paul Cuffee, to establish the Shinnecock Presbyterian Church in 1791. It stands, in what is another noted record in Native American history, as the oldest continuously operating Indian Reformed Church in America. Located on a flat knob of land jutting into greater Shinnecock Bay, the Shinnecock reservation comprises 800 acres in south eastern Suffolk County. The church sits on the eastern banks of Shinnecock Neck protected from the Atlantic Ocean by Southampton’s barrier beach. The storm hit Long Island to the west of Shinnecock Bay directing its energies to the south of the reservation with winds and storm surge tearing the little church from its foundation. It was found in a horrible state the next day, on September 22nd, and beyond the ability of the Shinnecock nation to repair on its own. The Shinnecocks were determined, however, to rebuild the church which had long served a central role in village life. But what form should that reconstruction take? The Shinnecocks, like the Trustees of St. Andrew’s Dune Church, were forced to confront the realities of the post-disaster environment. A threshold question involved whether or not the damaged structure should return to its former duties. On this front, the storm had presented the Shinnecocks with an unexpected opportunity. The church, which had served them ably for almost a century and a half, was now too small for the Shinnecock community. The Shinnecocks also wanted a community house for the social needs of the tribe. The Shinnecocks decided that the church would be rebuilt, but it would no longer serve in that capacity. The battered remains of the old church would be used as a community center with a new, larger church to be constructed for the Shinnecock people. The reconstruction of the old building and the erection of a new church were projected to cost over $8,000. Figure 7: Rev. 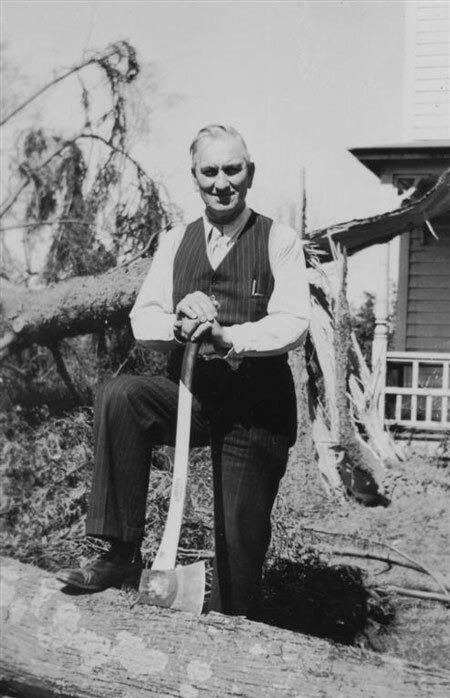 Dr. J. Percival Huget taking a break from cutting up downed trees on the property of his Shelter Island manse. September 1938. Courtesy of the Shelter Island Historical Society, Shelter Island, N.Y. 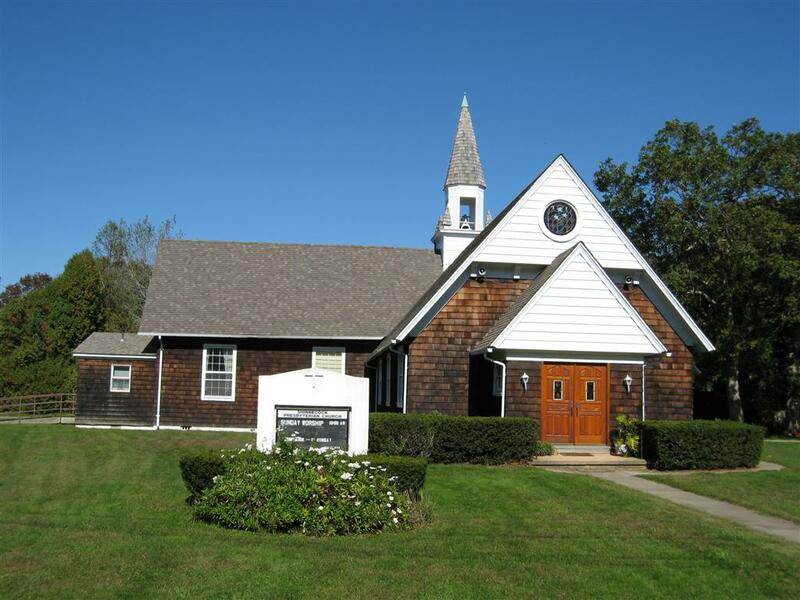 In March 1939, a special meeting of the Long Island Presbytery convened at the Greenport Presbyterian Church. The committee approved a building and financing plan for the project. The committee hired architect Arthur Newman of Bridgehampton to design a structure to adequately meet the religious, educational and recreational demands of the Shinnecock people. After presenting his proposal to the Church Building Committee, the plan was approved with construction to begin in April. The new church greatly increased the amount of space available for the social and religious activities of the tribe with space for up to 150 people. The church building would be modified with the addition of a parish house, small stage, kitchen and minister’s study. A steeple measuring fifty feet in height would form the center of the twin axes of the main church building. The anticipated cost of the building and interior appointments ran in excess of $10,000 dollars. Contributions from the Shinnecocks, the County Council of Churches, and local parishioners amounted to only $4,767 dollars by May of 1939. With additional monies needed to finance the building, new methods of fund raising became necessary. To close the shortfall, Treasurer Rev. Herbert E. Moyer mobilized the entire religious community of Suffolk County including Episcopalian, Presbyterian, Congregational and an assortment of other religious concerns. The council proposed a “Shinnecock Day” observance on July 2nd to raise church reconstruction funds. Churches were advised to prompt members to contribute in the amount of .50 cents from adult members and .10 cents from Sunday school pupils. “Shinnecock Day” drew over 1,500 people from Southampton and greater Long Island providing additional funds for the reconstruction effort. Figure 8: The Shinnecock Presbyterian Church as it looks today. Shinnecock Indian Reservation, Southampton, L.I., N.Y. October 2006. Photo by the author. Further out on Long Island, the Sag Harbor Presbyterian Old Whaler’s Church grappled with its own relief priorities. Sag Harbor is a relatively young Long Island village, and possesses an excellent natural harbor. Though founded in 1707, its fortunes began in 1785 with the launch of the whaler Lucy kicking off a three quarter century long odyssey as one of the hubs of the global whaling trade. The establishment, in 1789, of Sag Harbor as the first U.S. Customs Port of Entry in New York State cemented its national importance and the principal place of the village in the Long Island and greater New York State economy. During the mid-nineteenth century, a visitor would have found a very cosmopolitan Sag Harbor at the apex of its whaling days. With Long Island ships manned by sailors from the West Indies and Pacific, harpooners from the Shinnecock Nation, and captained by experienced Long Island mariners, Sag Harbor represented movement and vitality. The population of the town was increasing, domestic industries were thriving and homes grew larger and more expensive. The village was prosperous and spiritually invigorated, caught up in the “Revival of Sag Harbor of the 1840’s” with citizens dedicating their lives to the moral and physical improvement of the community. Flush with additional members and committed to a higher purpose, their humble Presbyterian church at the corner of Church and Sage Streets could no longer hold their expanding flock. Parishioners decided to purchase a piece of property and build a church befitting their renewed faith and fortunes. Designed by Minard Lafever, one of the leading architects of the day, the newly constructed building cost a staggering $30,000 at the time of completion. 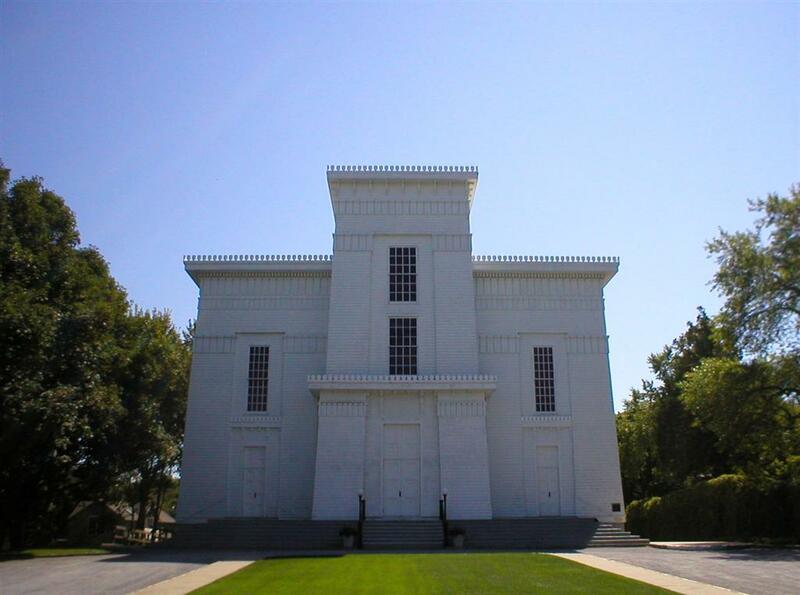 It was formally dedicated on May 16, 1844 as the First Presbyterian Church of Sag Harbor. In style and construction it is a portrait of Sag Harbor’s heyday, when faith, community and industry merged to create a religious curiosity. Figure 9: The Old Whaler’s Church as it looked before the storm with its mammoth steeple measuring an impressive 185 feet. Courtesy of Betty Neuffer (nee Raynor). It represented faith, community, wealth, and patriotism all at once. Whalers returning to port would strain to see the beacon burning in the garish funnel signaling the end of a long and hopefully successful voyage. Young troublemakers from the village would brag of climbing to the top of the structure. Throughout the Civil War, a giant Union flag fluttered proudly atop the spire. Poets would write about it, and residents looked to it for a sense of calm and reassurance in their own lives and that of the community. Albert G. Hallock of Huntington Station commented, “[t]o me this marvelous steeple was what one might style ‘the crowning glory and attraction’ of Sag Harbor.” But almost as soon as the grand church was completed, Sag Harbor fell on hard times. The whaling industry once central to the village’s economic and social life dried up; the harbor, which once rivaled that of New York City in volume of ship traffic, was passed over in favor of other ports-of-call; and church membership, while still strong, could not match the high water mark set during the church’s early days. 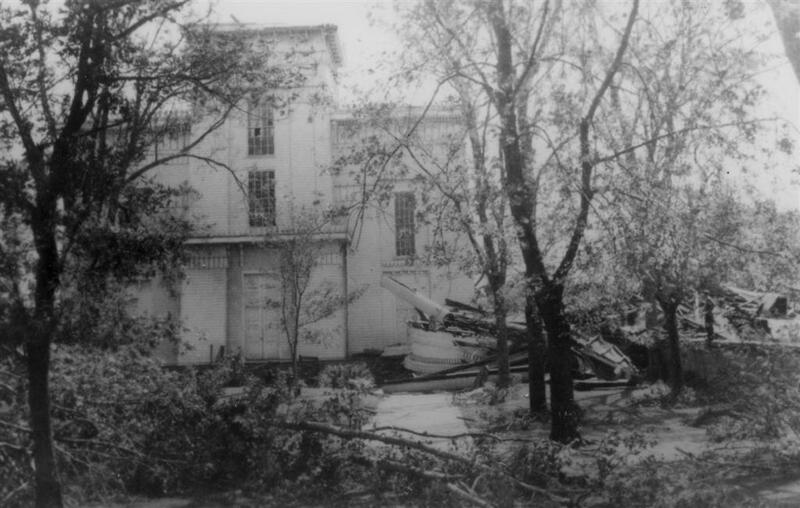 Figure 10: The Old Whaler’s church after the storm. Note the demolished steeple in the right foreground. September 1938. Courtesy of Betty Neuffer (nee Raynor). Given the psychic import of the steeple to Sag Harbor, and the great interest displayed, Dr. Barrett anticipated a quick rebuilding effort. He immediately organized a fund raising campaign and appealed to the congregation, village and interested outsiders for funds. In the end the church only raised $1,400. With these monies, and an additional $6,600, renovations began on the main building, manse and church grounds including new sidewalks and electrical fixtures. With one estimate putting the cost at approximately $100,000 the reconstruction would have to be rethought. The next year, parishioners celebrated the 95th anniversary of the church building, and expressed a “great desire” to restore the steeple. 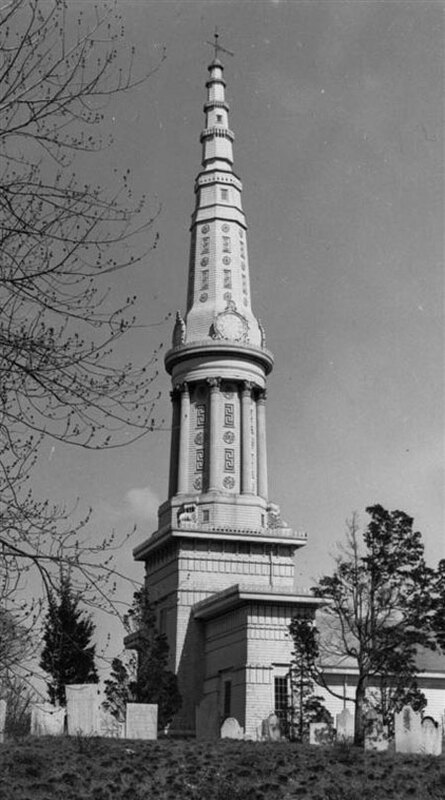 A “Committee for the Restoration of the Old Whaler’s Steeple” formed in 1939 to raise funds for the project. Events were held and letters mailed out to generate interest in the project. Any amount was welcome, but those who contributed $100 or more would have their name placed on a bronze plaque in the vestibule of the church. Given the soaring cost of the enterprise, however, church leaders acknowledged that its restoration might be “impossible or impracticable.” They suggested that a “suitable” steeple might suffice if a duplicate could not be constructed with available funds. This effort also fell short. In a congregation meeting held on October 4th 1944, it was “unanimously decided” that the church steeple would be restored. In an effort to avoid the mistakes of the past, it was agreed that the reconstruction would proceed in stages from bell deck to columns and so on all the way to the top. On this attempt, not even the bell deck was laid down. Figure 11: The Old Whaler’s Church of Sag Harbor, L.I., N.Y. as it looks today. August 2007. Photo by the author. With the designation of the Old Whaler’s Church as a National Historic Landmark in 1994, the prospects for this go around look considerably promising. But the failure to immediately repair the steeple was a result of the village trying to reclaim an unrecoverable past. On this front the hurricane had exposed a change in the identity and economic realities in the village of Sag Harbor. It had been passed by and its church was a product of an age that no longer existed. The Dune and Shinnecock churches however did not seek to recapture an unrecoverable past so much as rebuild a feature of present faith through modern and traditional means. Dune church also had the benefit of a wealthy flock and the Shinnecocks were more likely candidates for outside aid given their minority status and the unpretentious rebuilding goals of the main structure. In the end, religious disaster relief schemes exhibited modern methods of aid and rebuilding coupled with traditional elements of Long Island society and the curious practice of local faith. The American National Red Cross, Official Report of Relief Operations: New York-New England Hurricane and Floods-1938 (Washington, D.C.: American National Red Cross, 1939), 63; Roger K. Brickner, The Long Island Express: Tracking the Hurricane of 1938 (Batavia, N.Y.: Hodgins Printing, 1988); Scott Mandia, “The Long Island Express, The Great Hurricane of 1938,” www2.sunysuffolk.edu/mandias/38hurricane/ (accessed 15 May 2008); William Minsinger, The 1938 Hurricane: An Historical and Pictorial Summary (East Milton, M.A. : Blue Hill Observatory, 1988); Edith D. Robinson, clerk, “Minutes of the Quogue Village Board October 2nd, 1931 to October 6th, 1941,” September 29th, 1938, 186, Quogue Village Hall, Quogue, L.I., N.Y.; Benjamin D. Blackman, clerk, “A Meeting of the Suffolk County Board of Supervisors,” Proceedings of the Board of Supervisors of Suffolk County for the Year Nineteen Hundred Thirty-eight, September 23, 1938, 331; “Charge Three with Looting,” County Review 29 September 1938, 1. Jonathan Bergman, “A New Deal for Disaster: The Federal Disaster Relief Operations of the “Hurricane of 1938,” Suffolk County, New York,” Long Island Historical Journal 20 (Fall 2007/Spring 2008) 1-2: 15-39. Paul Boyer, “Two Centuries of Christianity in America: An Overview,” Church History 70 (Sep., 2001) 3: 544-556. Ian Davis and Michael Wall, eds., Christian Perspectives on Disaster Management (Middlesex, U.K.: Interchurch Relief and Development Alliance, 1992); Rev. Kevin Massey, Light Our Way: A Guide for Spiritual Care in Times of Disaster (Washington, D.C.: National Voluntary Organizations Active in Disaster (NVOAD), 2006); “Christian Disaster Response,” www.cdresponse.org/ (accessed 12 June 2008); “Presbyterian Disaster Assistance,” www.pcusa.org/pda/ (accessed 12 June 2007). James Burgess Book, Jr., “Skyward,” Time, 13 December 1926; Ralph Adams Cram, The Gothic Quest (New York: Baker and Taylor, 1907); idem, The Ministry of Art (Boston, M.A. : Houghton Mifflin Co., 1914); idem, The Substance of Gothic (Boston, M.A. : Marshall Jones, 1925); idem, American Church Building of Today (New York: Architectural Book Publishing, 1929); William S. Mitchell, A Seven-Day Church at Work, The Story of the Development and Program of Wesley Church, Worcester, Massachusetts (New York: Funk and Wagnalls, 1929); W. Seward Salisbury, Religion in American Culture: A Sociological Interpretation (Homewood, I.L. : The Dorsey Press, 1964), 278-280. Tom S. Petty, “Four Walls and a Steeple No Longer Make a Church,” Christian Herald 53 (March 29, 1930): 18. Robert T. Handy, ed., The Social Gospel in America (New York: Oxford University Press, 1966), 4. “Mission Statement: The Long Island Council of Churches,” National Council of Churches www.ncccusa.org/ecmin/licc (accessed 16 June 2008). Rodney Stark and Charles Y. Glock, “Churches as Moral Communities,” in Phillip E. Hammond and Benton Johnson, eds., American Mosaic: Social Patterns of Religion in the United States (New York: Random House, 1970), 290-316. Williston Walker, “The Current Outlook in Church History,” Papers of the American Society of Church History series 2, 1 (1913): 32. Ralph Waldo Emerson, Essays, Second Series (Philadelphia, P.A. : David MacKay, 1891); Steven Jon Holmes, “’Blessed Home’: Nature, Religion, Science, and Human Relationship in the Early Life of John Muir,” (Ph.D. diss., Department of History of American Civilization, Harvard University, June 1996). Rt. Rev. J.I.B. Larned, D.D., Rev. William R. Watson, and R.F. Barnes, “Report: Hurricane September 21, 1938, Churches and Institutions in Suffolk County,” Episcopal Church in the Diocese of Long Island, September 27-29, 1938. 1982.7.2, O.P.B., Box 18. Shelter Island Historical Society, Shelter Island, N.Y.; “Repairs are Rushed on Communications,” New York Times, 27 September 1938, 2; “Woman ‘Ham’ Reveals Radio Amateurs Work During Storm,” Brooklyn Daily Eagle, 25 September 1938, 3; “Radiomen Break Barrier of Silence Imposed by Storm,” County Review, 29 September 1938, 3; “The ‘Ham’ Radio Operators,” Mid-Island Mail, 28 September 1938, 4; “Public Utilities Are Functioning,” Hampton Chronicle, 30 September 1938, 4. Steven Gaines, Philistines at the Hedgerow: Passion and Property in the Hamptons (New York: Little, Brown and Company, 1998), 224-227. Saint Andrew’s Dune Church Founded 1879 Southampton, New York, a historical and commemorative pamphlet commissioned by the St. Andrew’s Board of Trustees, 1958, 1-3. Ibid. ; “Montauk Village Laid Low By Storm; The Dune Church of Southampton was practically…,” County Review (Storm Extra) 22 September 1938, 1; “St. Andrews Church Organ Benefit,” Southampton Press, 9 December 1938, 1, 6; Saint Andrew’s Dune Church Founded 1879 Southampton, New York, 1-3. “St. Andrew’s Church Organ Benefit,” 1, 6. Edwin Scott Gaustad, ed., Religious Issues in American History (New York: Harper & Row, 1968), 132. Saint Andrew’s Dune Church Founded 1879 Southampton, New York, 1-3. “St. Andrew’s Dune Church Opens,” 1; Saint Andrew’s Dune Church Founded 1879 Southampton, New York, 1-3. “Will Build New Shinnecock Church,” Southampton Press, 24 March 1939, 8. Bevy Deer Jensen, “Shinnecock Indian Nation: An Ancient History and Culture,” Shinnecock Indian Nation www.shinnecocknation.com/history.asp (accessed 22 July 2008); Edith Hay Wyckoff, The Fabled Past: Tales of Long Island (Port Washington, N.Y.: Kennikat Press, 1978), 10-27; Jacqueline Overton, “The Indians of Long Island,” Long Island Sun, 7 October 1938, 4. Abigail Fithian Halsey, “The Shinnecock Church,” Long Island Forum 8 (Jul., 1945) 7: 129, 132. Halsey, “The Shinnecock Church,” 129, 132; Nathaniel Scudder Prime, A History of Long Island from its first settlement by Europeans, to the year, 1845, with special reference to its ecclesiastical concerns (New York: R. Carter, 1845); John A. Strong and David Goddard, “In Quiet Possession: Westwoods is Reservation Land,” Southampton Press, 17 July 2003. Harriet Brown, We Hang in the Balance (Southampton, N.Y.: Harriet Brown, 1956), 3; Arthur P. Davis, Ramblings of Squaw Man (Southampton, N.Y.: Long Island East, Inc., 1972), 12-16; “Shinnecock Indians End Two-Day Powwow on Long Island,” New York Herald Tribune, 15 August 1938, 13; “Will Build New Shinnecock Church,” Southampton Press, 24 March 1939, 8. “Church Marks Its 298th Year,” County Review, 10 November 1938, 1; “Presbytery to Act On Church For Shinnecock,” County Review, 9 March 1939, 1; “Historical Pageant at Shinnecock,” Sag Harbor Express-News and the Corrector, 22 June 1939, 1. “Presbytery to Act on Church for Shinnecock,” County Review, 9 March 1939, 1; “Shinnecock Church Cornerstone Laying; Is Oldest Reservation,” Southampton Press, 28 April 1939, 1, 7; “New Shinnecock Church Dedicated,” Southampton Press, 5 May 1939, 1, 4. “Dedicate New Presbyterian Church on Shinnecock Indian Reservation,” County Review, 4 May 1939, 1; “Hundreds Gather at Southampton for ‘Shinnecock Day’ Celebration,” County Review, 6 July 1939, 1; “Suffolk Will Do Honor to Shinnecocks,” County Review, 29 June 1938, 1, 6. “Shinnecock Church Opening Sunday,” Southampton Press, 1 September 1939, 1; Hunter, The Shinnecock Indians, 40-42; Miss Clara Horton, “East Marion,” Suffolk Times, 27 April 1939; “Presbytery to Act on Church for Shinnecock,” 1. Nancy Cory, et al., ‘An Open Door Since 1844’: 150th Anniversary of the First Presbyterian Church (Old Whalers’) of Sag Harbor, New York (Sag Harbor, N.Y.: Church Historical Committee, 1994), 8-10; “Steeple Loss Severe Says Judge,” Sag Harbor Express-News and the Corrector, 22 June 1939, 1; “1844-1939; The Old First Church (Presbyterian); Sag Harbor, Long Island,” a church program detailing the “Order of Service” for Sunday, August 13th, 1939, 11:00 a.m., First Presbyterian Church, Sag Harbor, N.Y. Local History Room, John Jermain Library, Sag Harbor, N.Y.; “1844-1934: 90th Anniversary of the Dedication of The Old First Church (Presbyterian) Sag Harbor, New York,” A Church Schedule and Program of Events for the Service Dedicating the Anniversary, 1934. Vertical File—Sag Harbor—Old Whalers’ Church. Suffolk County Historical Society. Paul Goldberger, “State of the Island: Sixty Years After the Hurricane: The Case for Replacing the Steeple of Sag Harbor’s Old Whaler’s Church,” Long Island Historical Journal 11 (Fall 1998) 1: 42-46; Mary Cummings, “It Will Take a Village to Raise This Spire,” New York Times, 27 August 2000; Cory, ‘An Open Door Since 1844’: 150th Anniversary of the First Presbyterian Church (Old Whalers’) of Sag Harbor, New York, 13-15; “Funds Being Raised for Restoration of ‘Old Whaler’s’ Church Steeple,” Sag Harbor Express-News and the Corrector, 1 June 1939, 1. Henry Triglar Weeks, “Sag Harbor, Island Cinderella,” Long Island Forum 7 (January, 1944) 1: 15. Henry Triglar Weeks, “Whalers Church to be Restored,” Long Island Forum 7 (November, 1944) 11: 217; Cory, ‘An Open Door Since 1844’: 150th Anniversary of the First Presbyterian Church (Old Whalers’) of Sag Harbor, New York, 13-15. “Sag Harbor’s Hurricane Memorial Booklet, Wednesday, September 21, 1938,” Local History Room, John Jermain Public Library, Sag Harbor, N.Y.
 “Presbyterian Notes,” Sag Harbor Express-News and the Corrector 6 October 1938, 3. Pamela Vail Lawson, “Presbyterian Ministers—Rev. Dr. Sidney H. Barrett, 1921-1940,” Winter 2003, Local History Room, John Jermain Public Library, Sag Harbor, N.Y.; Cory, et al., “‘An Open Door Since 1844’: 150th Anniversary of the First Presbyterian Church (Old Whalers’) of Sag Harbor, New York”(Sag Harbor, N.Y.: Church Historical Committee, 1994), 29; Cory, “‘An Open Door Since 1844’: 150th Anniversary of the First Presbyterian Church (Old Whalers’) of Sag Harbor, New York,”15; “Funds Being Raised for Restoration of ‘Old Whaler’s’ Church Steeple,” 1; Henry Triglar Weeks, “Whalers Church to be Restored,” Long Island Forum 7 (November, 1944) 11: 217. Mary Cummings, “It Will Take a Village to Raise This Spire,” New York Times, 27 August 2000; Cory, “‘An Open Door Since 1844’: 150th Anniversary of the First Presbyterian Church (Old Whalers’) of Sag Harbor, New York,”15. Cummings, “It Will Take a Village to Raise This Spire.” Annette Hinkle, “Raising Funds to Restore Sag Harbor Village’s Landmark ‘Old Whalers Church Restoration Campaign, Inc.” available from www.guidestar.org/pqShowGsReport.do?partner=networkforgood&ein=11-3348229 (accessed 5 May 2008); “The Maidstone Arms Invitation to a Cocktail Reception for the Old Whalers Landmark Restoration Campaign,” The East Hampton Library, Pennypacker Collection, East Hampton, N.Y.; Suffolk County Legislature, Resolution No. 692—2002, Authorizing Certain Technical Correction to Adopted Resolution No. 524-2002, Intro. Res. No. 1771-2002 (August 6, 2002); Suffolk County Legislature, Resolution No. 535—2006, Transferring Contingent Funding for Various Contract Agencies (Phase II), Intro. Res. No. 1594-2006 (June 13, 2006). Letter from Elizabeth Fyffe, Promotions and Public Relations Office of the Presbyterian Church (USA), to the First Presbyterian “Old Whaler’s Church,” June 14, 1995. Vertical File—Sag Harbor—Old Whaler’s Church, Suffolk County Historical Society, Riverhead, N.Y.